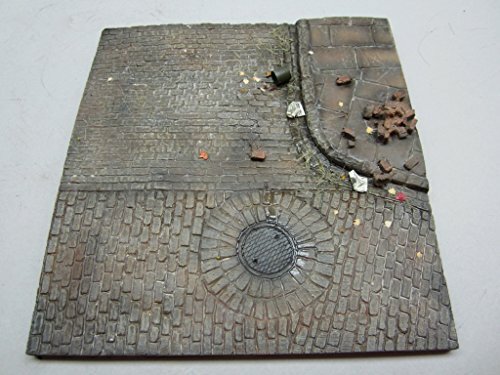 Can be used as part of a larger diorama for added impact. Photo shows what can be achieved with some modelling skill, time and patience! Items are made from Natural rock plaster, which whilst giving good strength to weight ratio also yields few air bubbles. Figures and scenic accessories NOT included as they are for illustrative purposes only to demonstrate scale and application. (see our scale accessories for bricks/rubble/bases etc.) All models are supplied as kits and will need to be assembled and painted. The picture illustrates how the model should look once completed. Glue and paint are not included in the kit. Not suitable for children under 12. View More In Diorama Kits. If you have any questions about this product by Fields of Glory, contact us by completing and submitting the form below. If you are looking for a specif part number, please include it with your message.